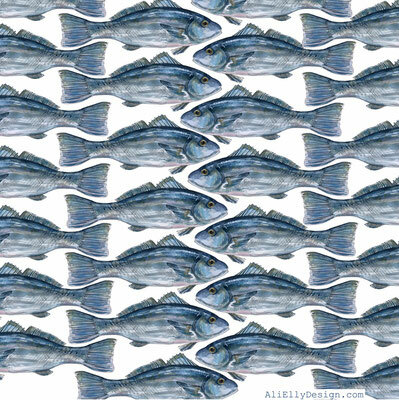 As an environmental artist, I'm constantly inspired by the sea on our doorstep. 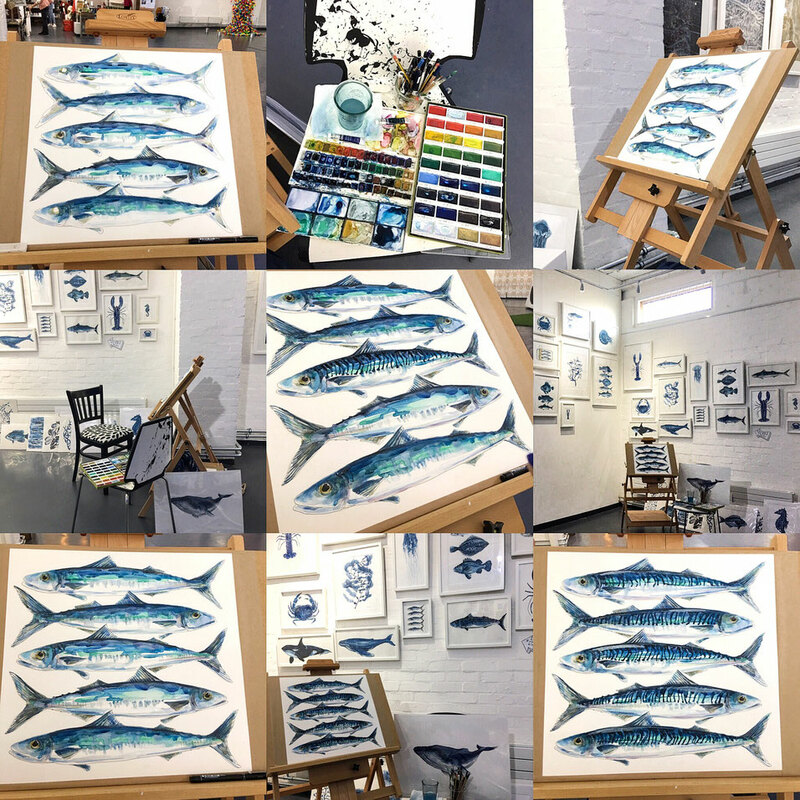 I draw and paint all the different fascinating species of marine wildlife we have around the UK. 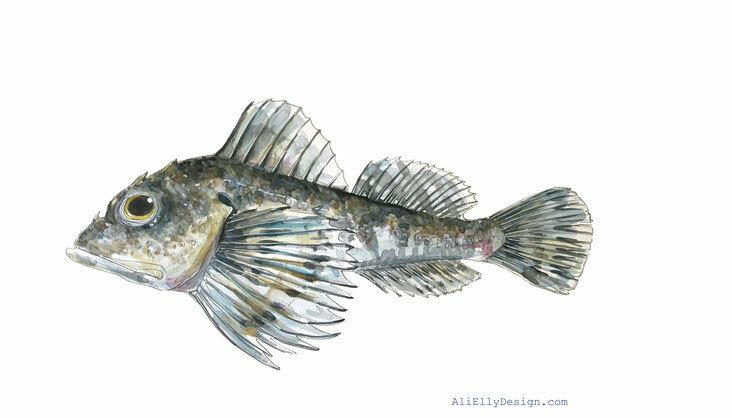 Learning more about the impact marine pollution is having on these vulnerable creatures, makes me passionate to find ways to help protect them. 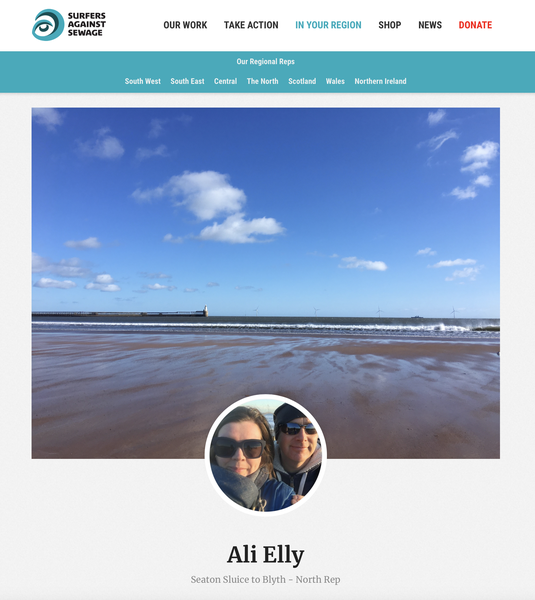 We spend a huge amount of family time in the sea and at all beaches here along the Northumberland coastline. Seeing the never-ending rubbish motivated me to volunteer as a Surfers Against Sewage Rep. 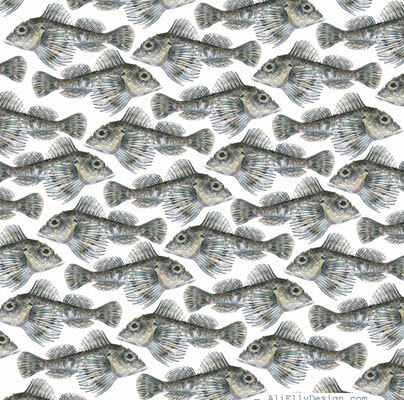 Being involved with this movement we hope to educate and encourage our community to play a big part in helping to protect our seas. 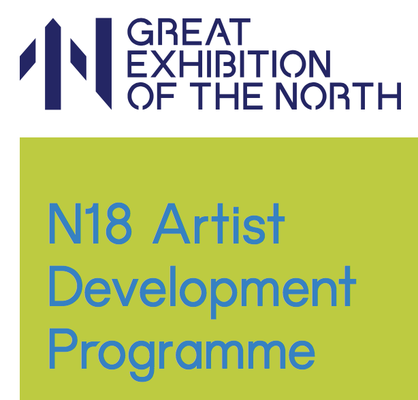 As part of the N18 artist development program, a short video of all the artists involved has been produced by Alan Fentiman. 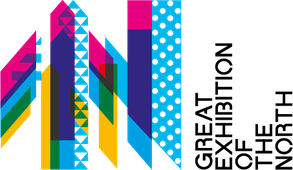 The N18 initiative is funded through the Arts Council England's Ambition for Excellence scheme and supported by the digital expertise of the BBC. 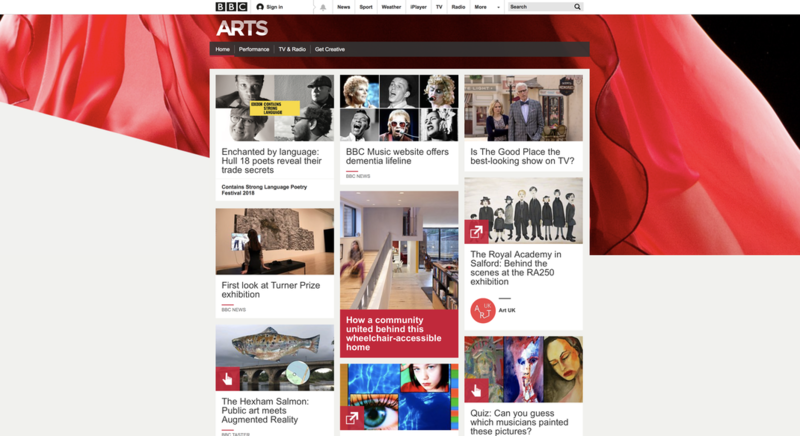 My salmon painting has swum onto BBC arts home page. 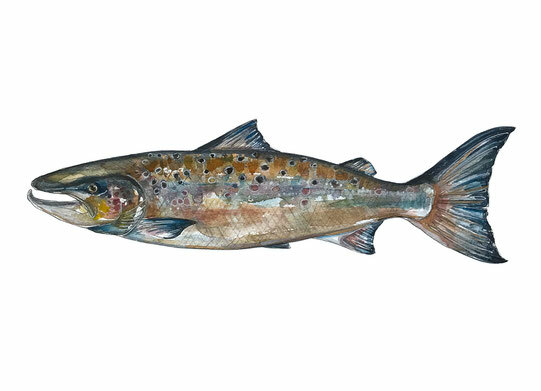 The Hexham Salmon Experience is a new augmented reality project which is allowing nature lovers to see and find out more about Salmon in the River Tyne at Hexham, through a new interactive experience. 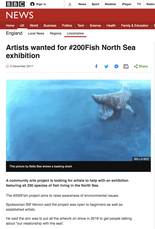 As part of the Great Exhibition of the North 2018’s N18 artists development programme I have been working with another N18 artist, local Hexhamtv news vlogger Peter Woods. 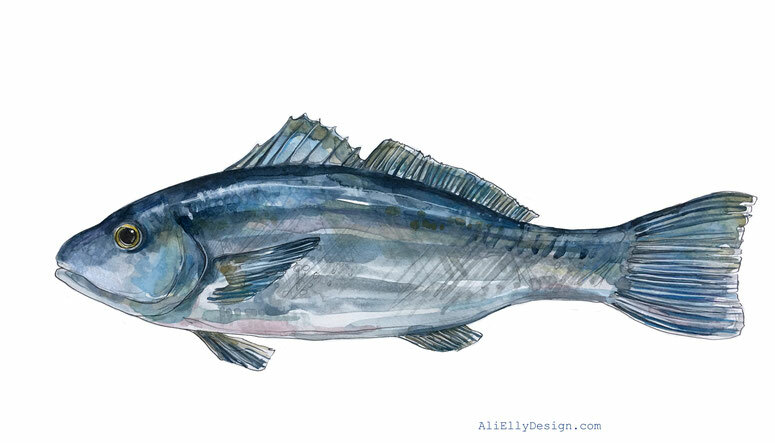 Using an original watercolour 2D painting of a Salmon, Peter had it converted into a 3D object and linked it to a scannable code. 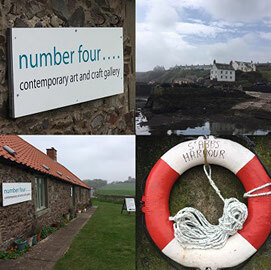 A new exhibition board on the bank of the River Tyne near the Hexham boathouse promotes the project to local people and visitors. All you need to do to see the Salmon experience is download the Zappar App from your App store, head down to Tyne Green, and point your smartphone at the code on the sign. 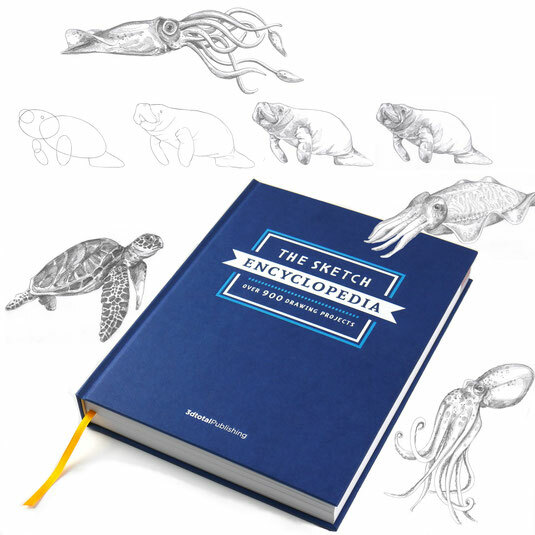 A book like no other, The Sketch Encyclopedia is an ideal art resource for anyone wanting to take their first steps into sketching or drawing. With over 900 drawing projects, each broken down into four key steps for practising your skills, there is enough to keep you sketching for years! 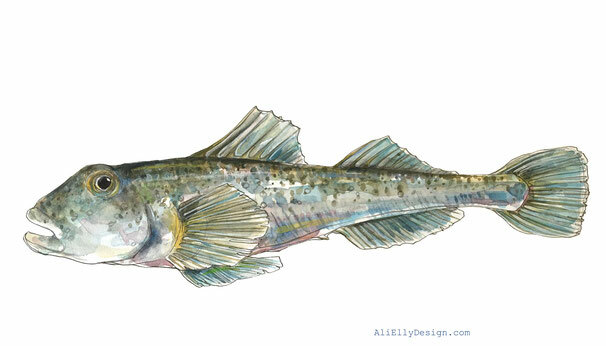 Learn the fundamental skills of drawing from The Sketch Encyclopedia’s extensive introduction covering tools, line making, light theory, perspective, and texture before exploring the different effects you can create with the book’s texture library. Armed with a wealth of artistic knowledge, embark upon your own sketches using the many different subjects covered in The Sketch Encyclopedia. 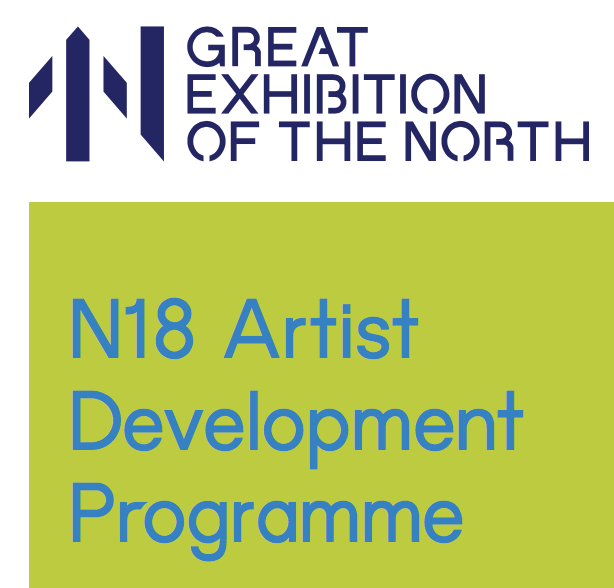 I am one of the selected 18 artists that took part in the Great Exhibition of the North's N18 Artist Development Programme funded through Arts Council England's Ambition for Excellent Scheme May-October 2018. 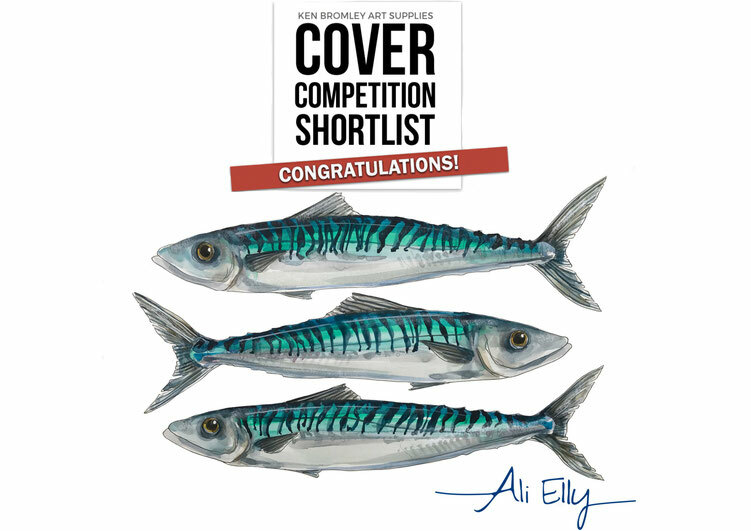 I'm super happy to have been shortlisted from hundreds of entries fro the Ken Bromley cover competition, please click on the image and vote for these 3 funny fish to win. 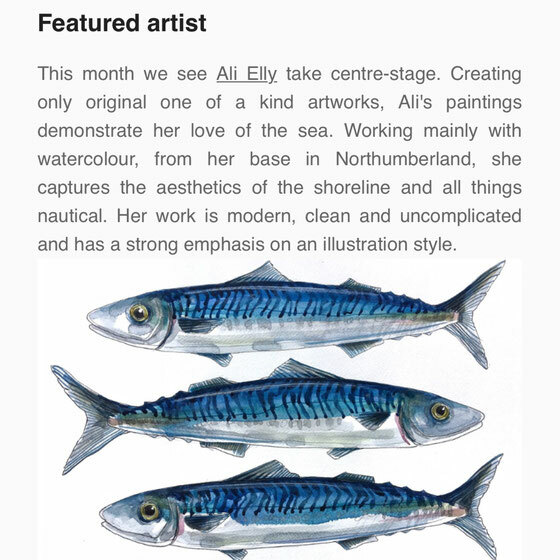 Great to see the list of amazing artists exhibiting at this years Alnmouth arts Festival. After the success of last year I can't wait to be part of it all again in June! 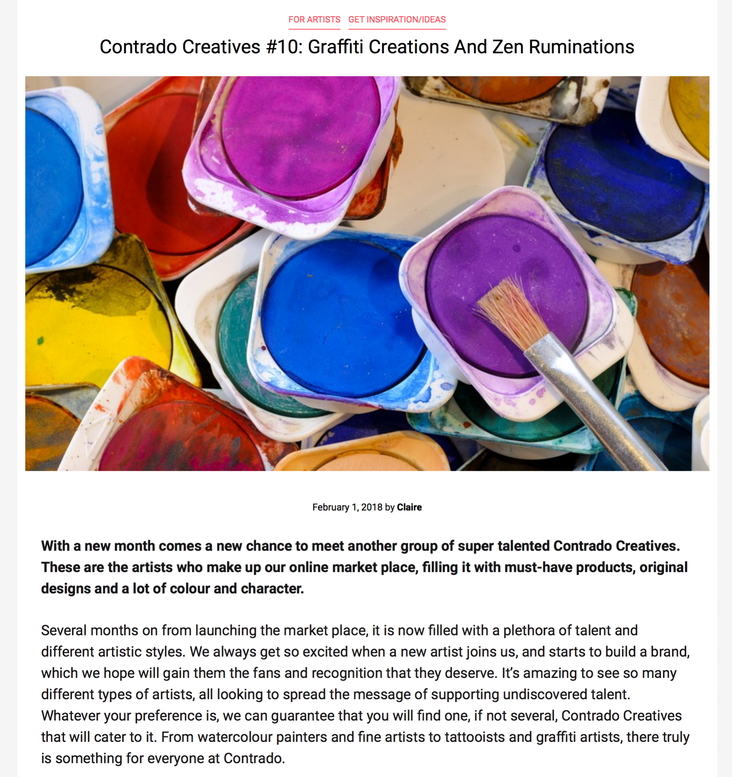 I'm a featured artist in the latest blog post from Contrado! 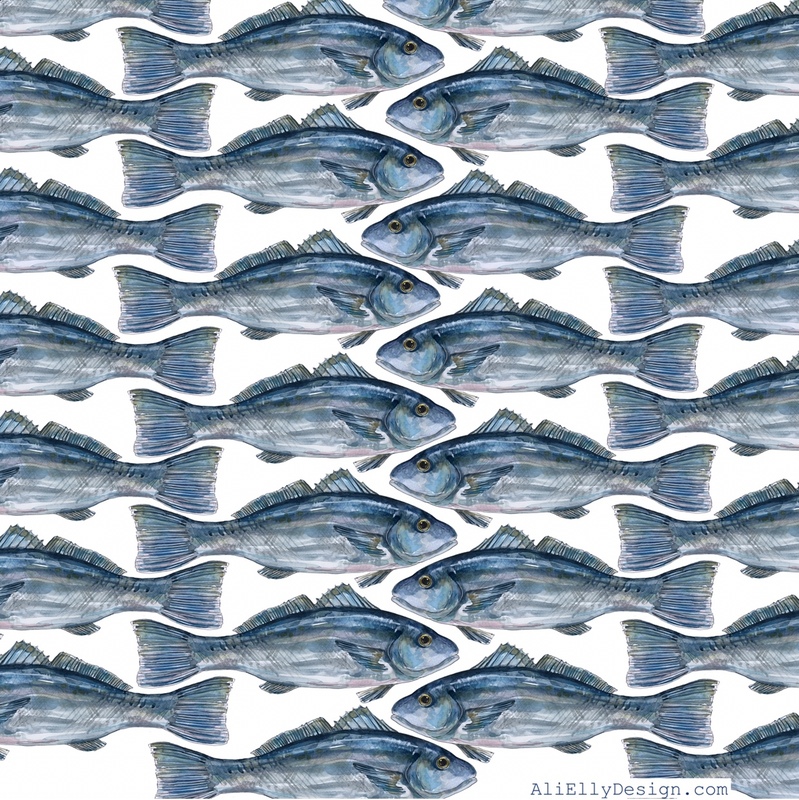 I'm delighted to be one of the artists taking part in the Time and Tide Bell #200Fish Project. 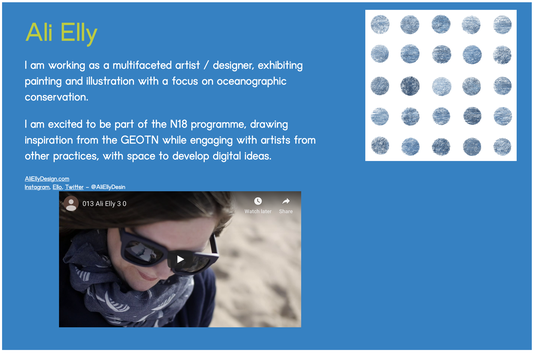 The project aims to bring stimulation of thought and conversation about humankind's relationship with the sea's, past and future. 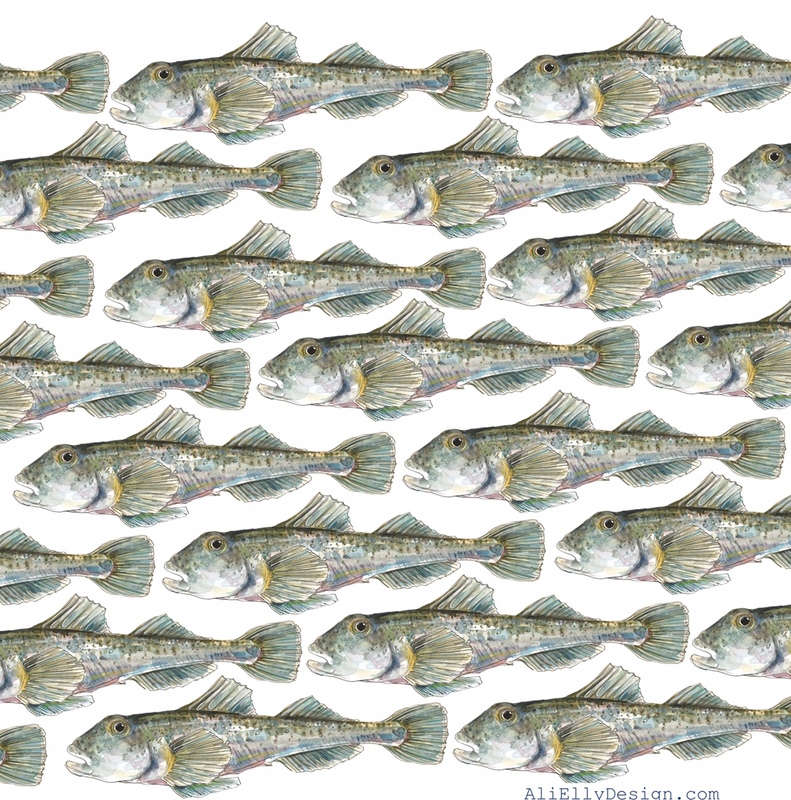 Referencing the issues of global warming, climate change, sea level rise, ocean acidification and over-exploitation. 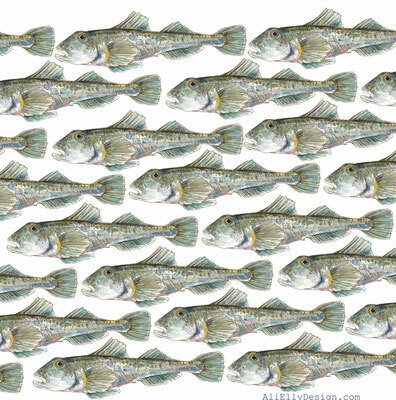 I've painted the 162 Sand Goby, Pomatoschistus minutus, the 140 Meagra, Argyrosomus Regius and the 113 Twohorn sculpin, Icelus Bicornis. 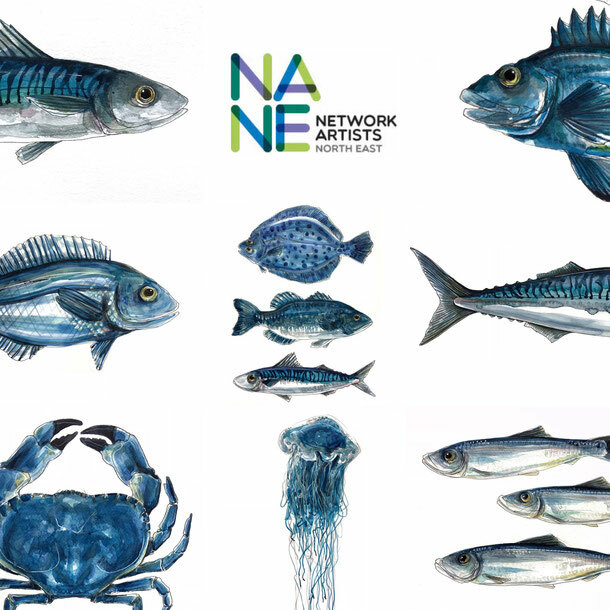 There is an exhibition of all the artworks created for this project in the planning, hopefully in Autumn 2018. 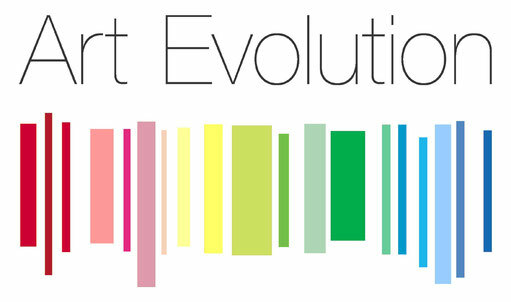 I'm delighted to announce that I am this months Art evolution featured artist. 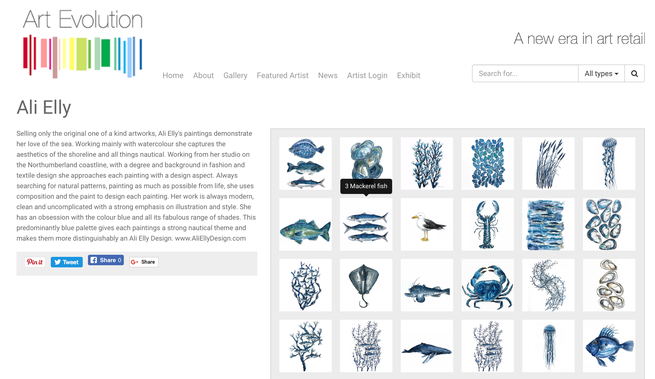 This website is a place reserved especially for talented female artists from around the world toshowcase and sell their art. at the Holy Trinity church, Jesmond. 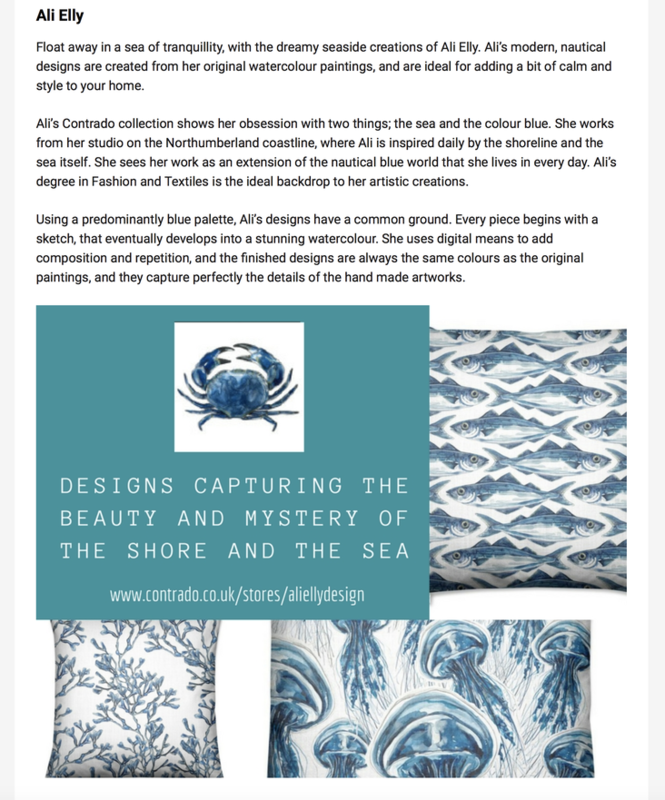 Doors open on the Friday 15th at 6-8pm for a preview event. Then Saturday 16th from 10am-4pm. Such a fun day...big thank you to everyone who popped along to the Thought foundation to see my live painting event, 8th Sept 2017. 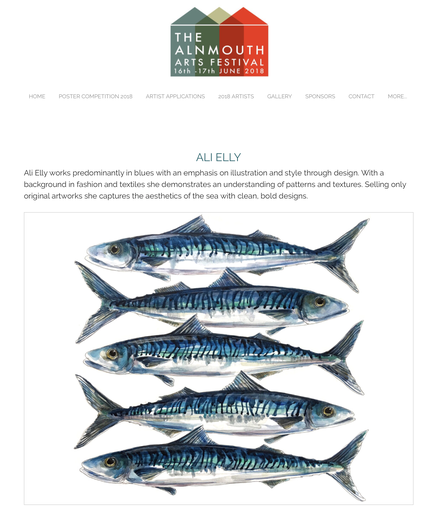 A collection of my original artworks will be on exhibition at number four galleries summer show from 15/16 July to 24th September. 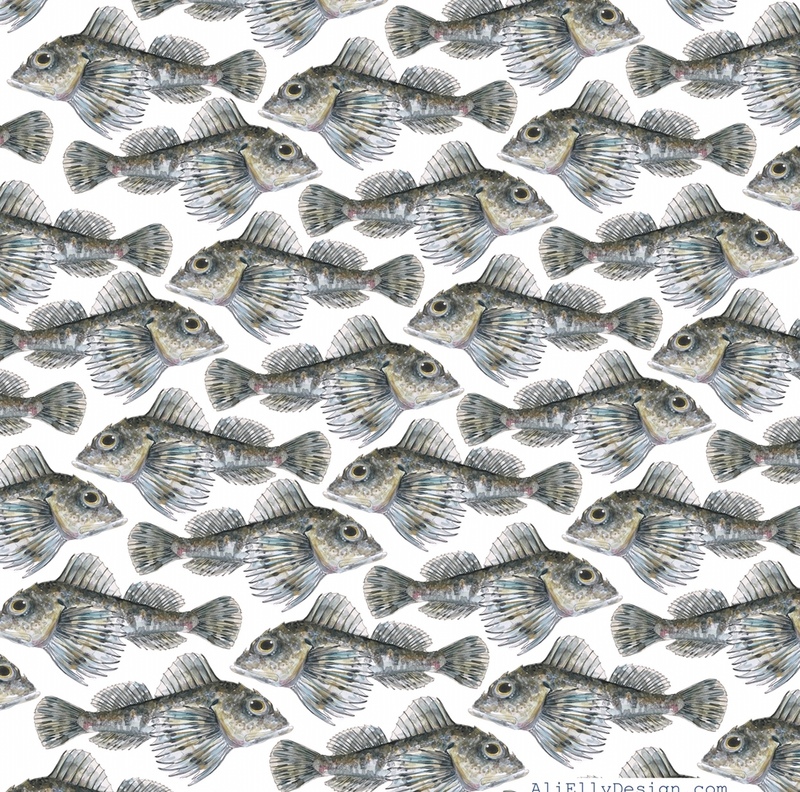 You can now buy my original designs as wallpaper for your home or business. 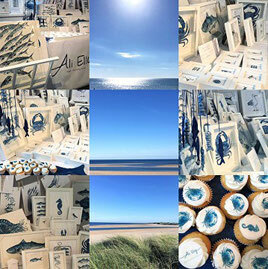 A big thank you to everyone that came along to this years Alnmouth Arts Festival on the 17th and 18th June.